Coastline customers in sheltered homes receive this extra telephone monitoring service. OkEachDay is a contact service that positively confirms your safety once or twice a day. You simply choose a time in the morning when you are normally awake and dressed, for example 9am or 10am, and let the OkEachDay Customer Services team know. Then all you have to do is press the OkEachDay button each day before the chosen time to let the team know you are okay. This takes just a couple of seconds, and if you prefer you can arrange to press the OkEachDay button in the evening. If for some reason you do not press the OkEachDay button, you are reminded by an automated call about ten minutes before your chosen time. However, it is still your choice whether you press the OkEachDay button. 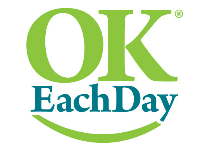 If you still have not pressed the OkEachDay button before your chosen time one of OkEachDay's Customer Services team will call you to confirm that you are okay. If they cannot get hold of you, or have any doubts that you are safe and well, they will inform the family members and friends that you’ve told us about to let them know you cannot be contacted. Should there be a problem getting in touch with your chosen person, OkEachDay's Customer Services team will then contact Coastline. OkEachDay is operated for Coastline Housing by Alertacall. You can find more information about the company on the OkEachDay website. The niece of one of our OkEachDay customers got in touch to say: "I've appreciated your support through a difficult time, thanks for your service and compassion. I want to thank you from the bottom of my heart. I honestly have nothing but good things to say about the service and really appreciate the fact it gives people their independence whilst checking they are okay."